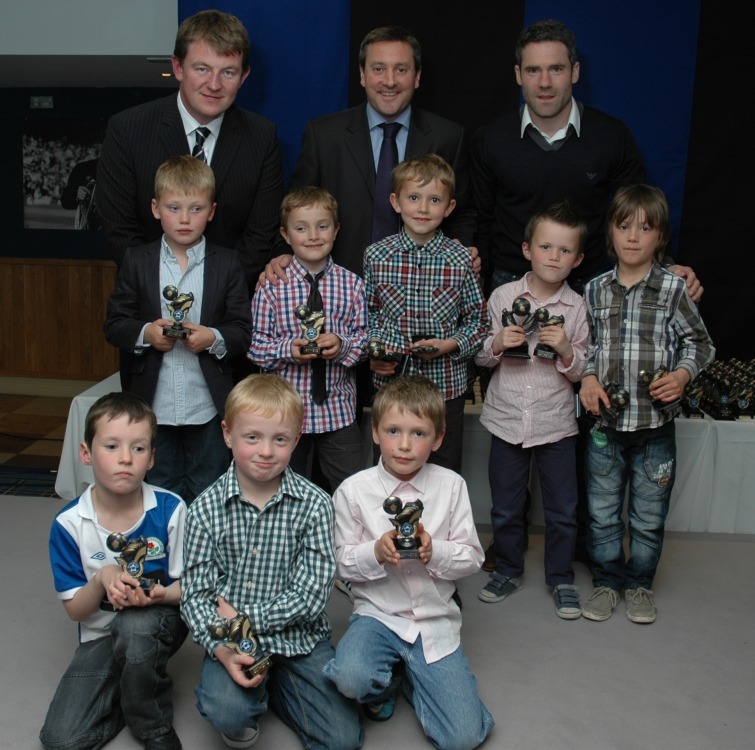 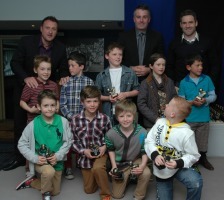 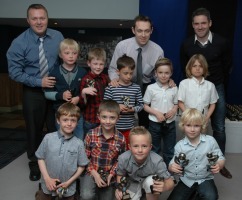 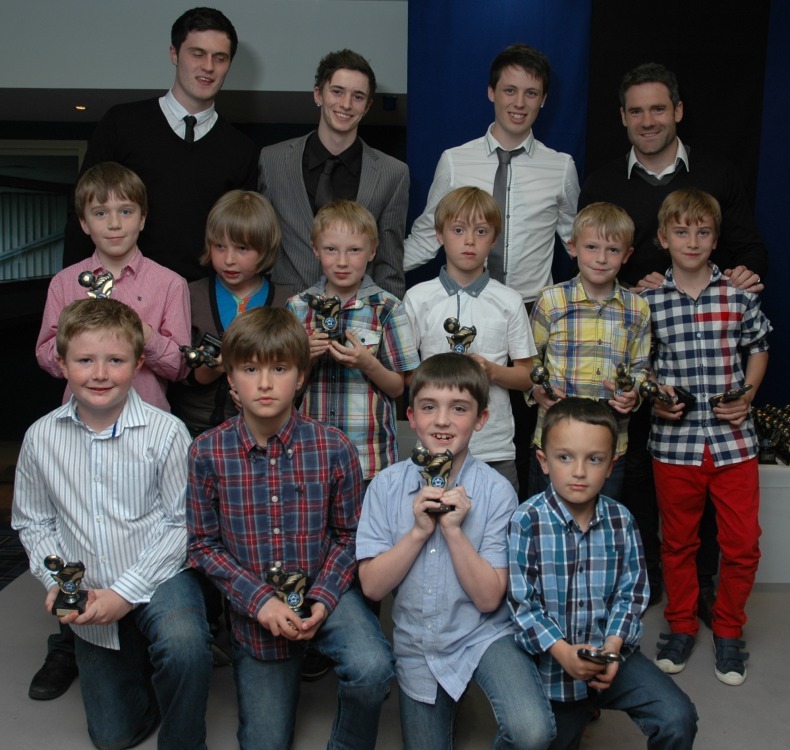 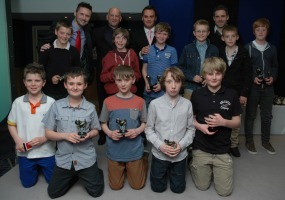 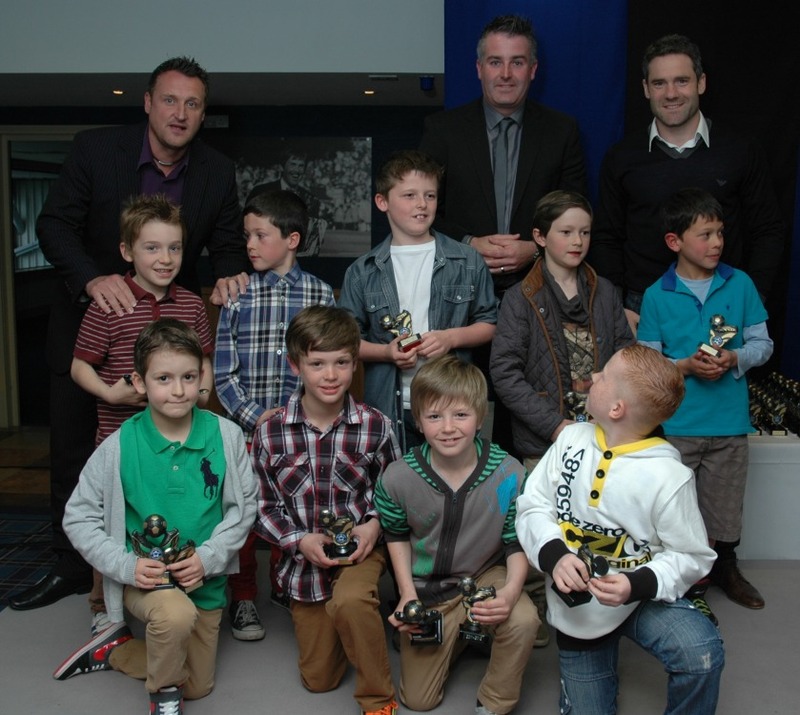 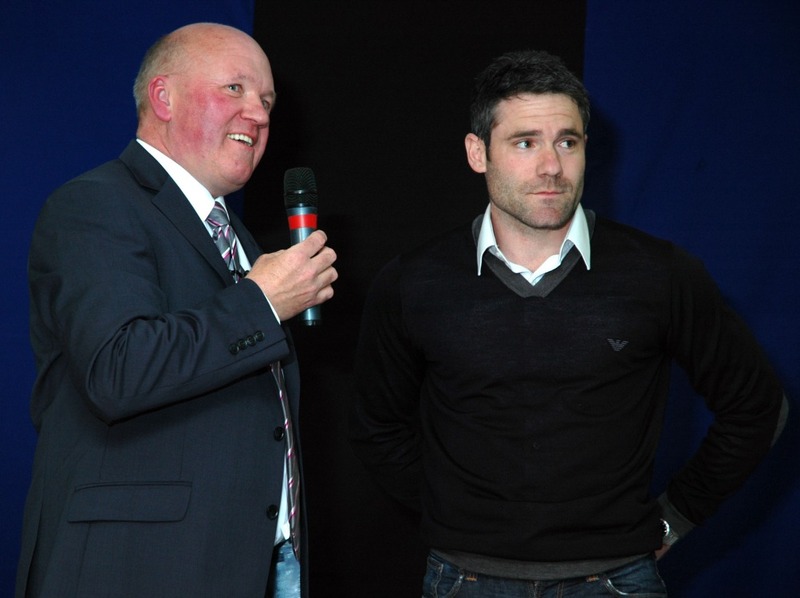 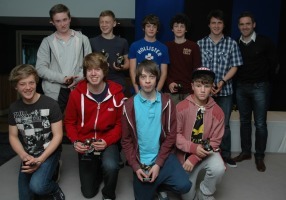 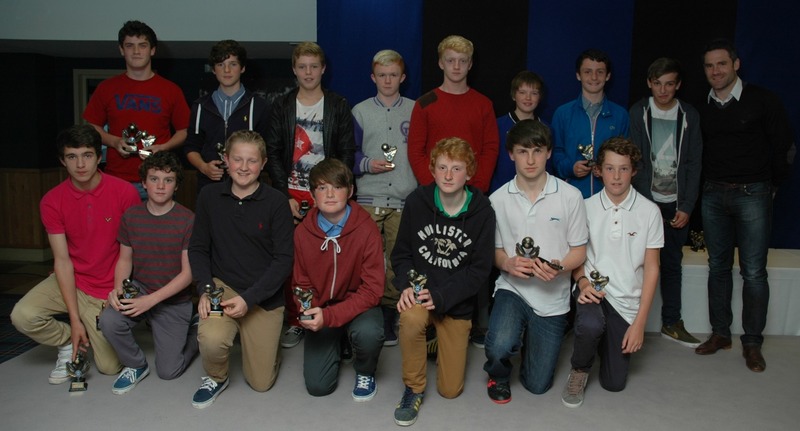 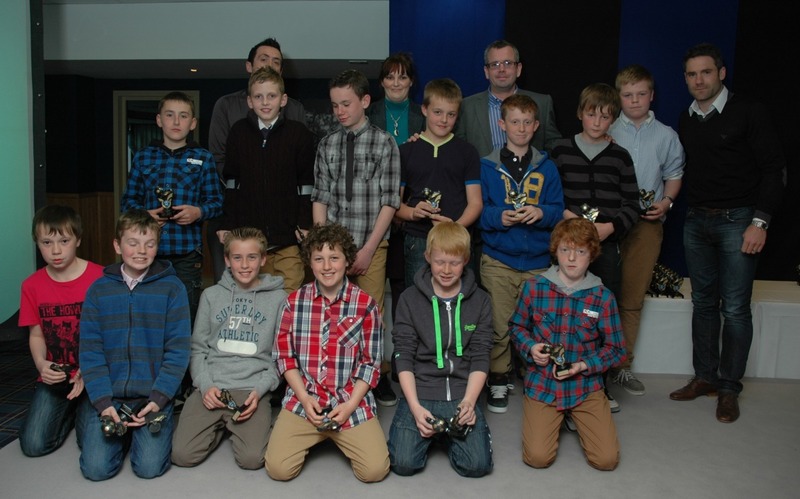 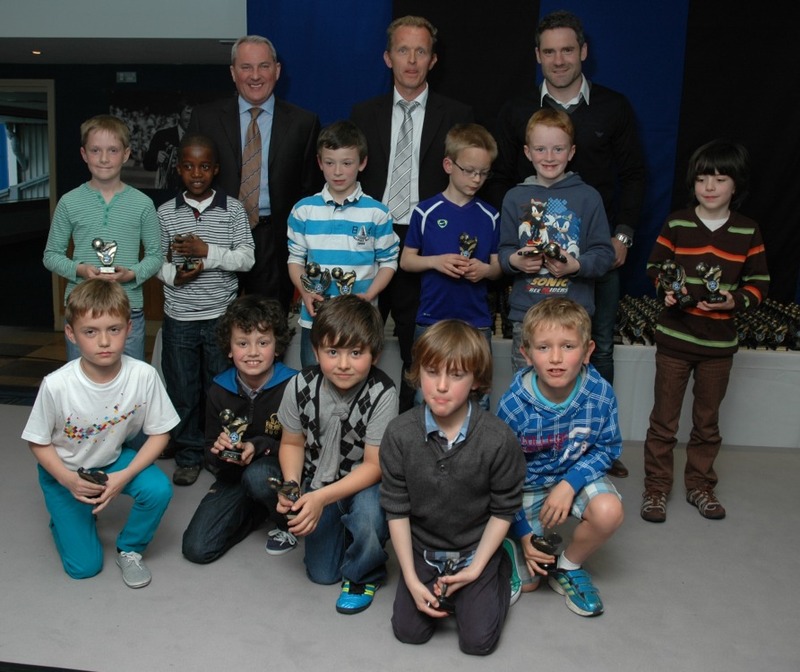 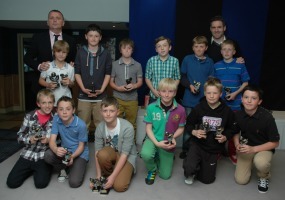 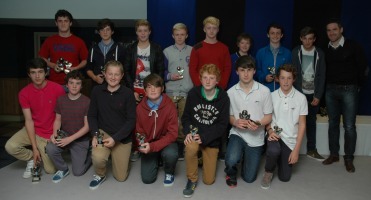 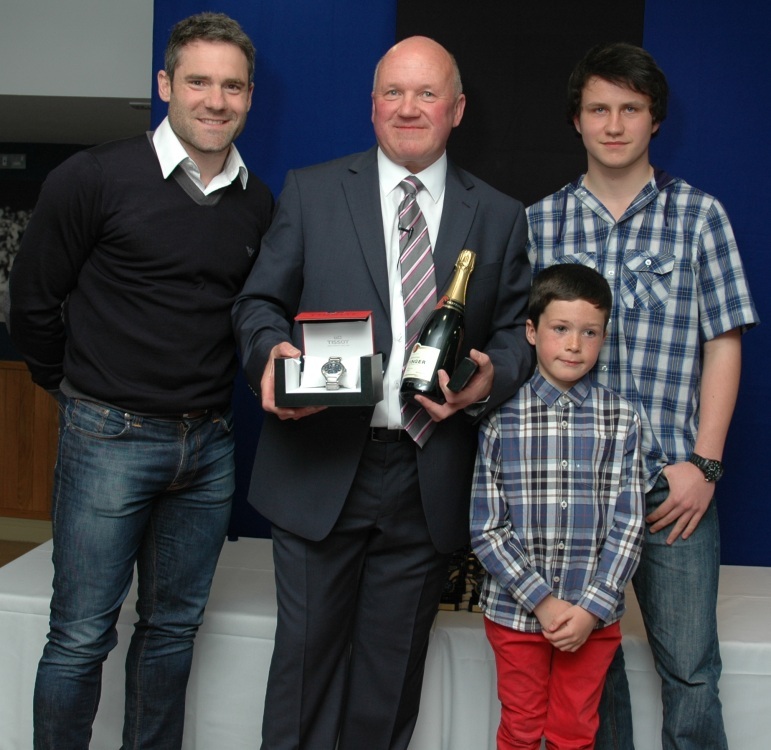 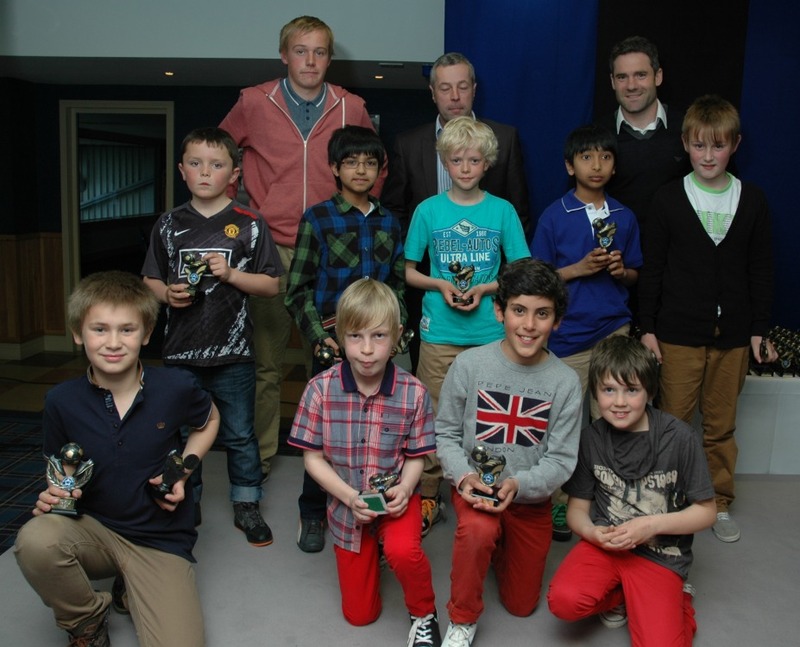 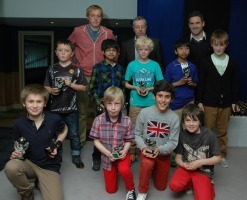 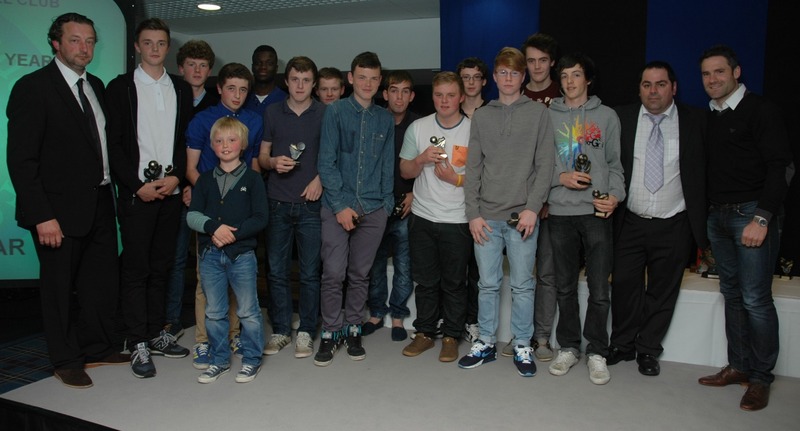 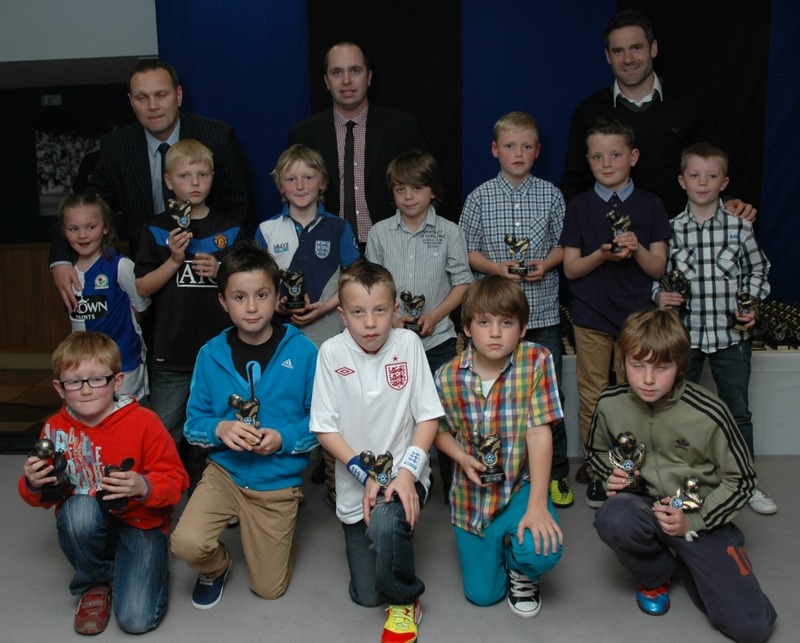 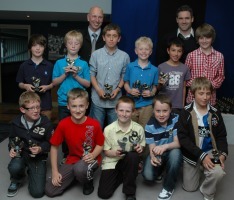 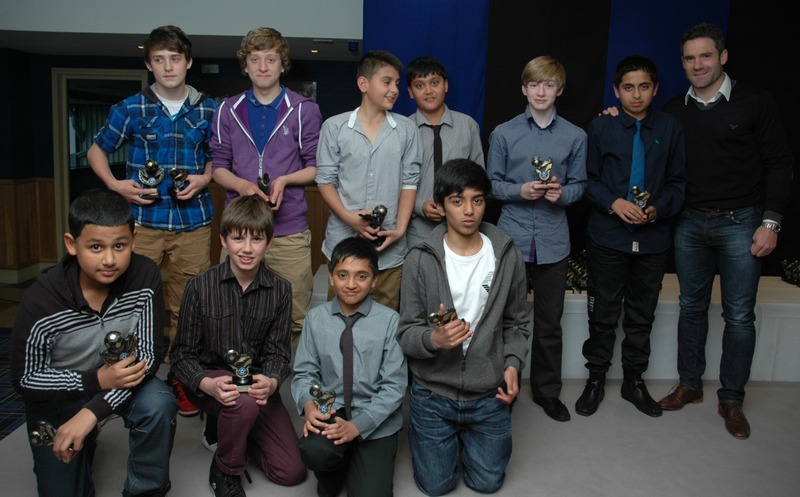 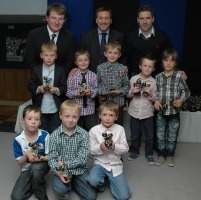 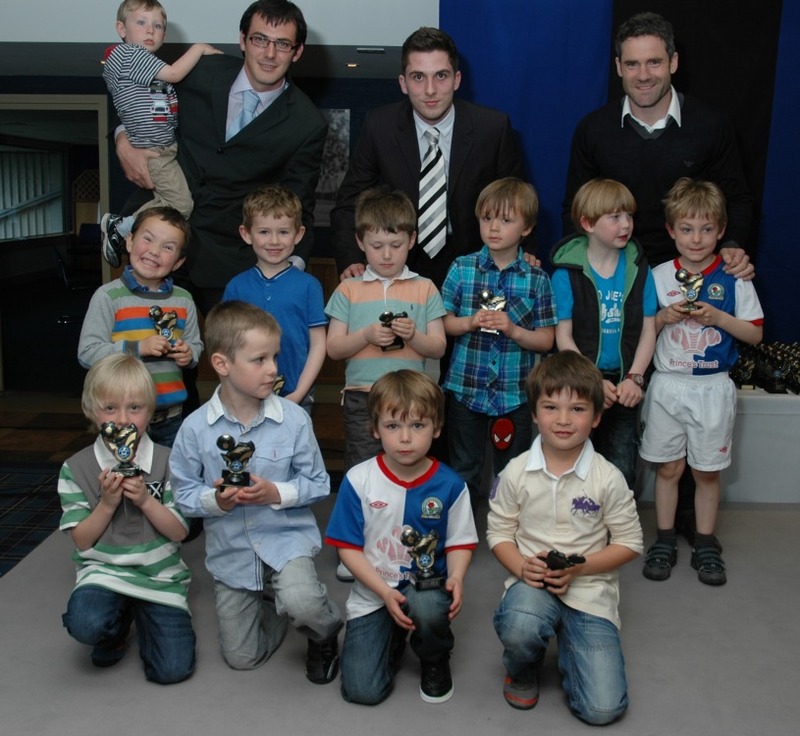 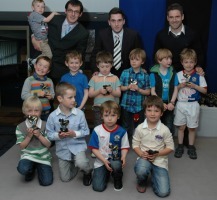 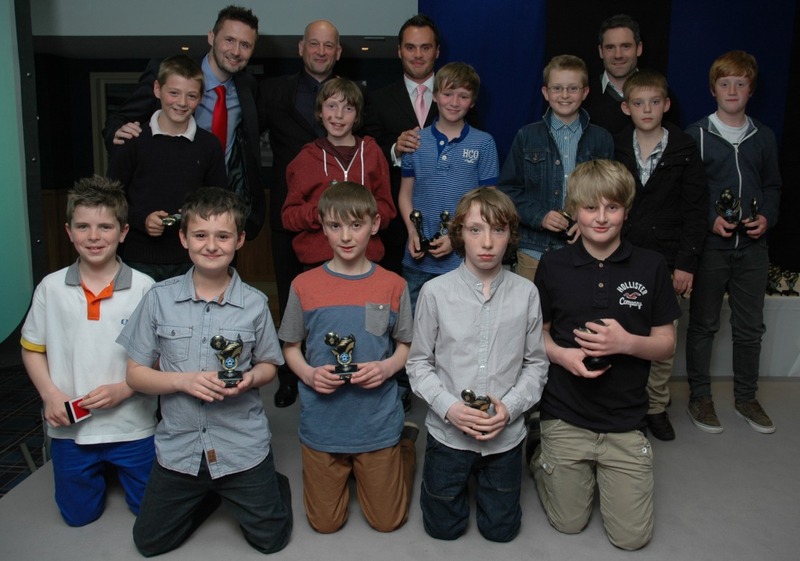 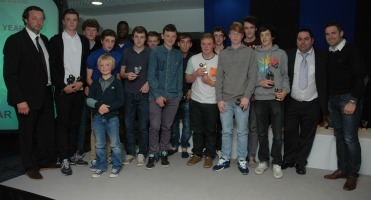 The awards evening was held on Tuesday 8th May 2012 in the Pennant Lounge at Ewood Park. 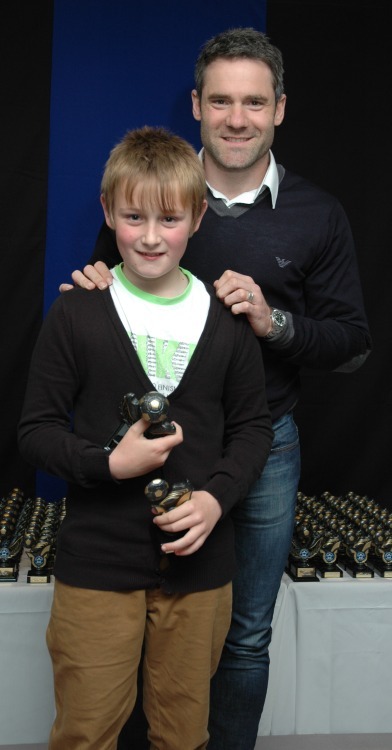 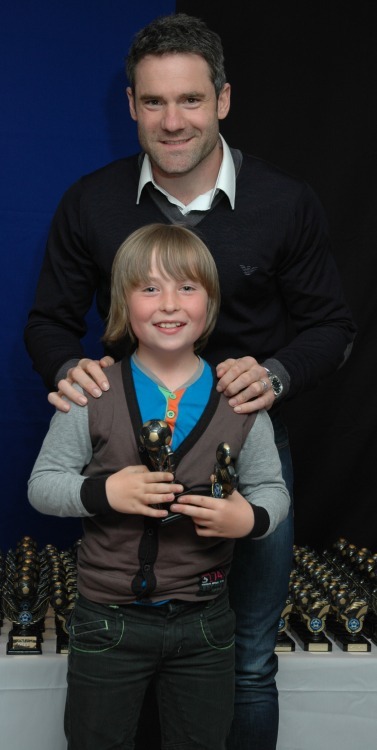 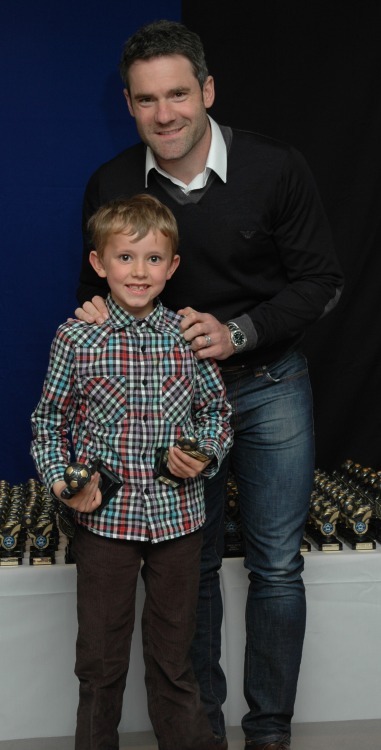 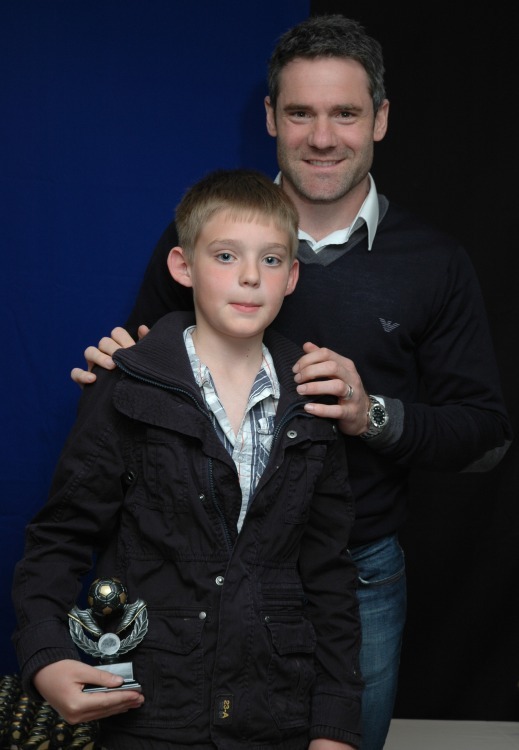 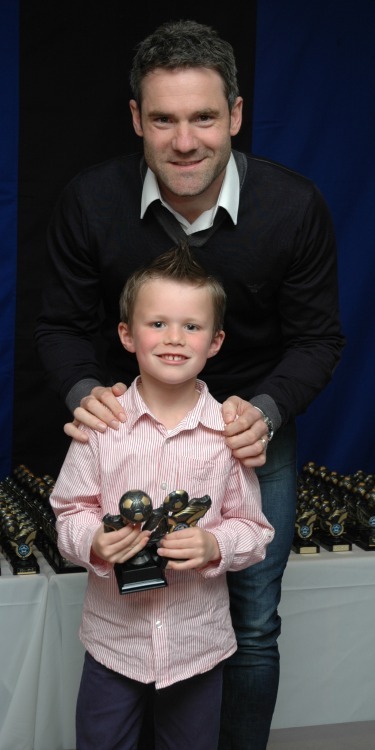 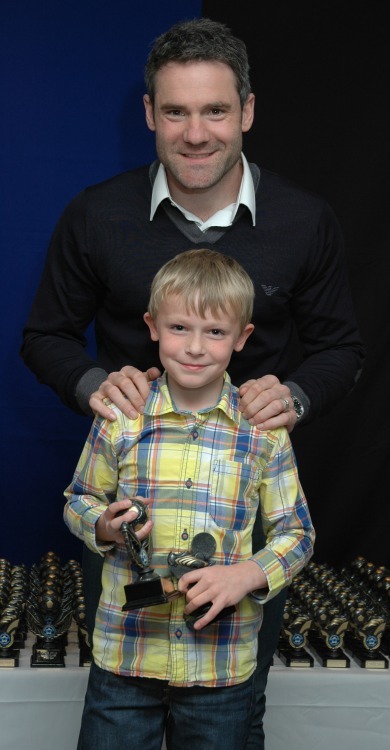 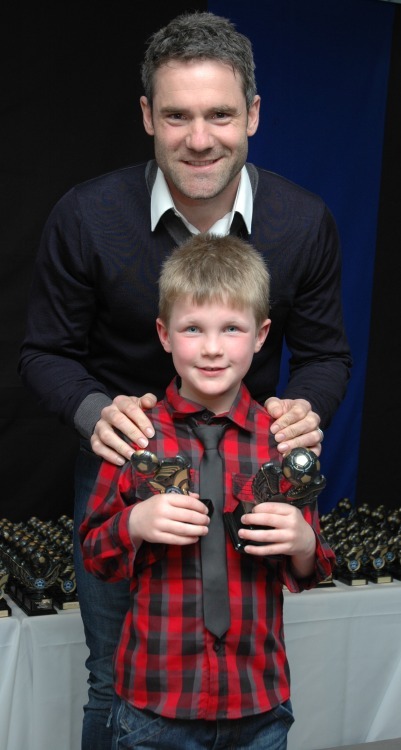 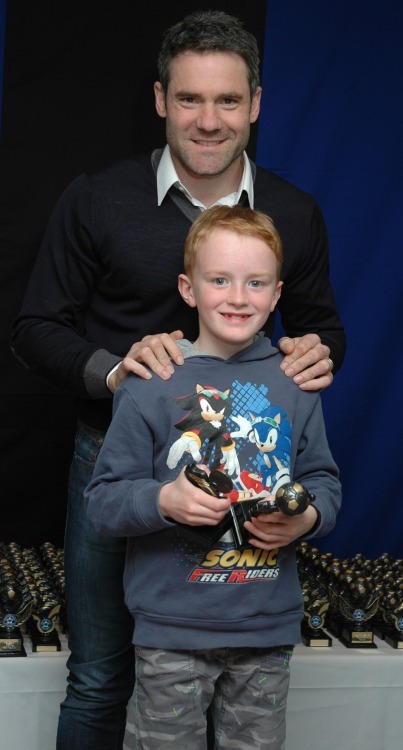 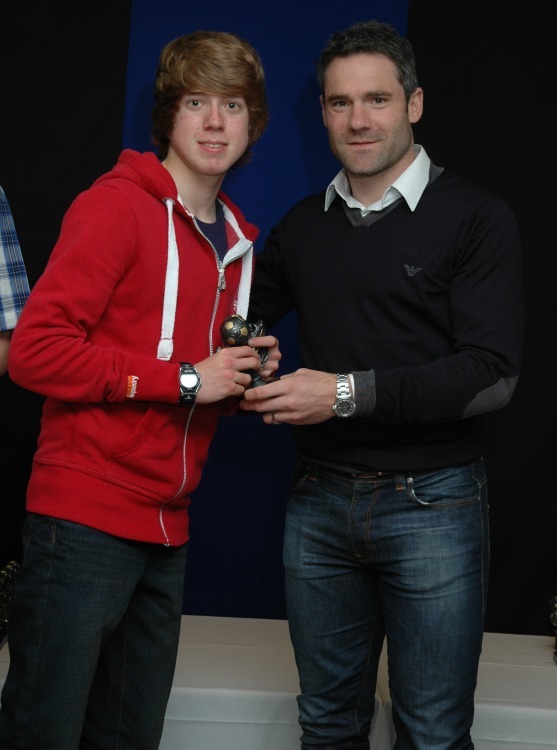 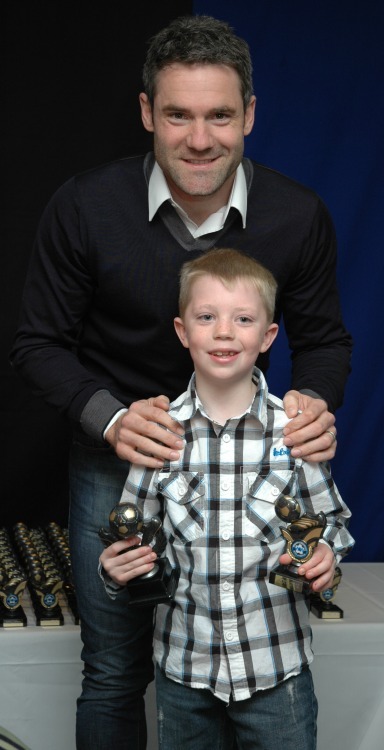 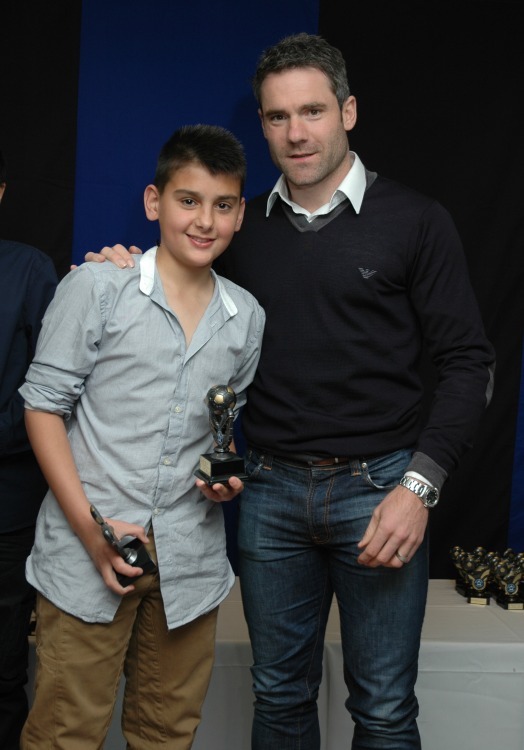 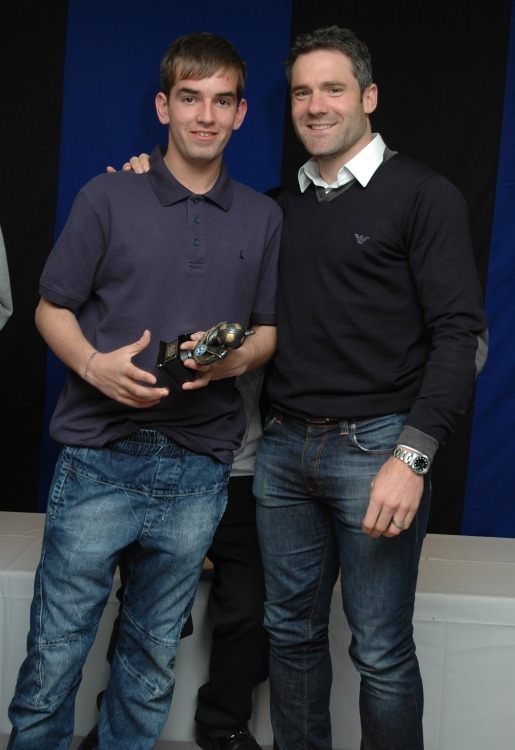 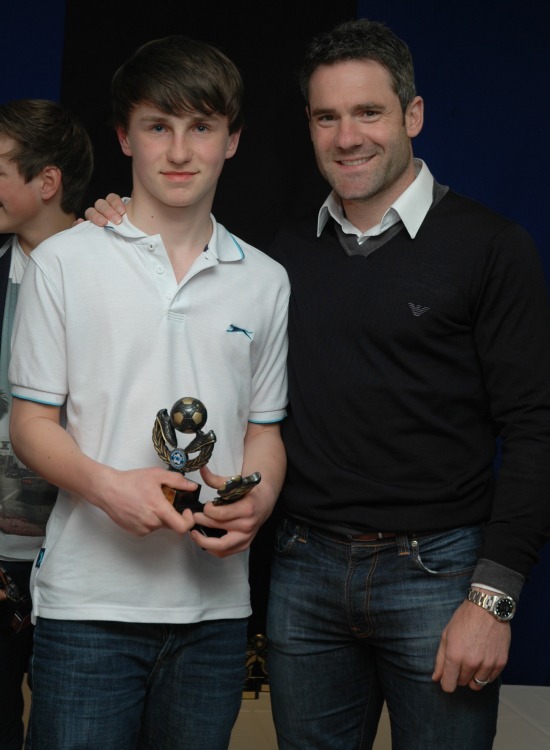 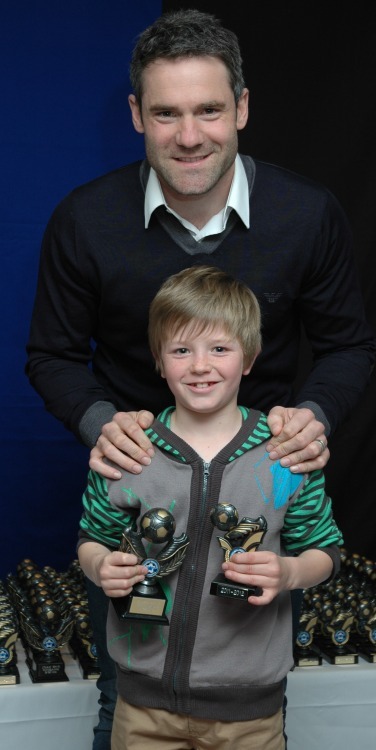 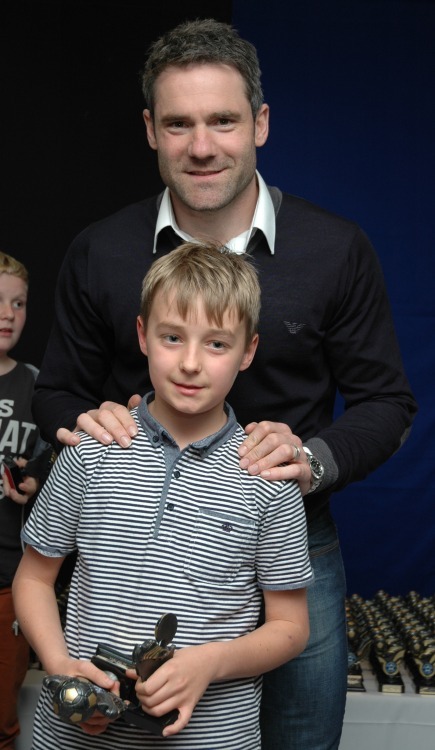 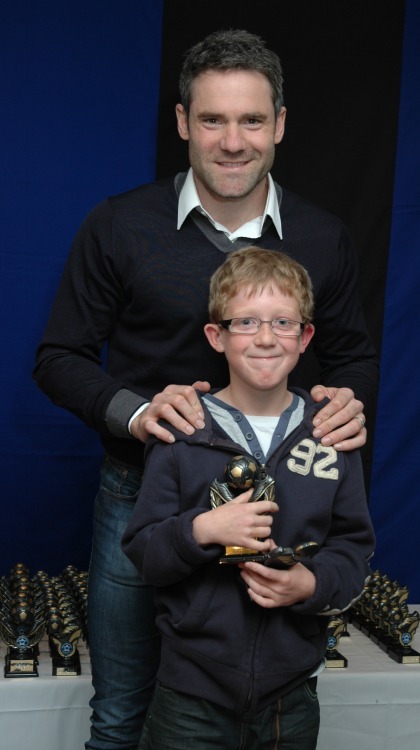 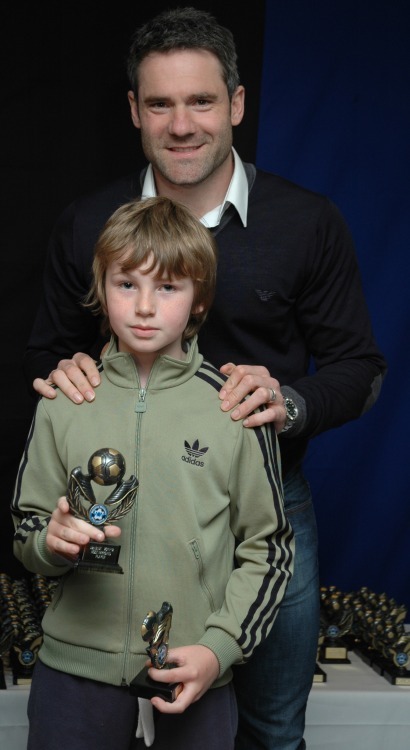 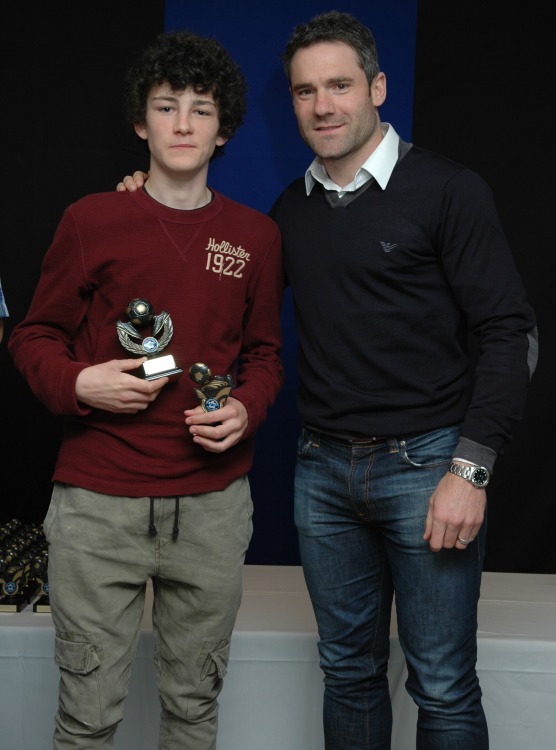 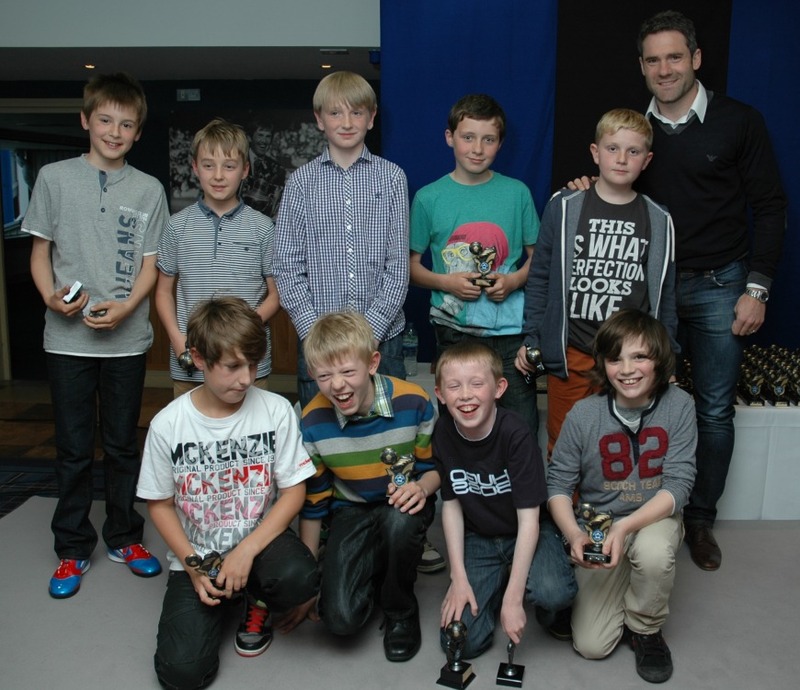 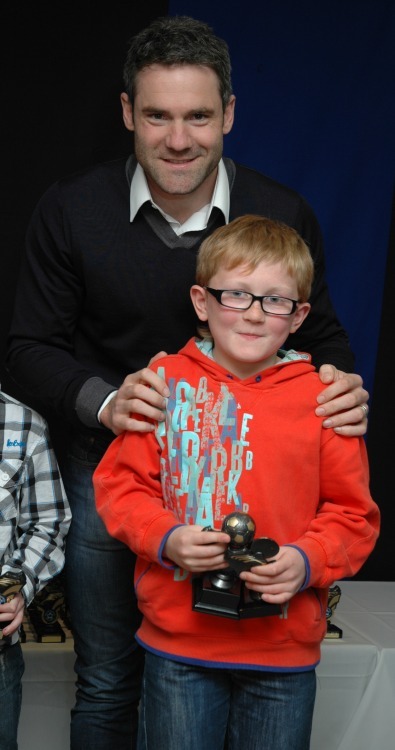 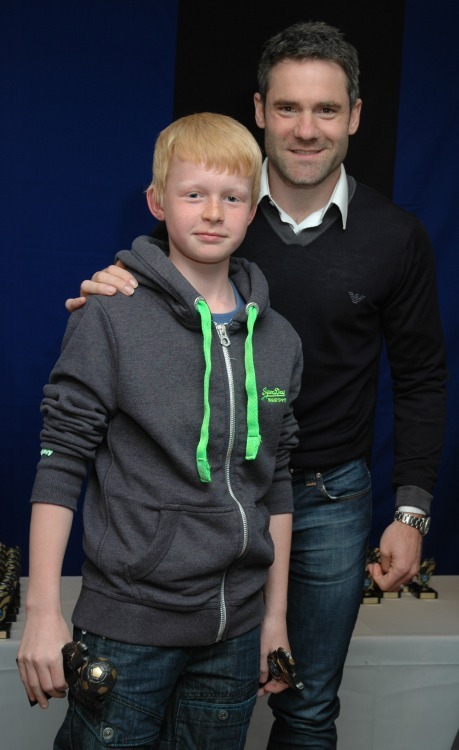 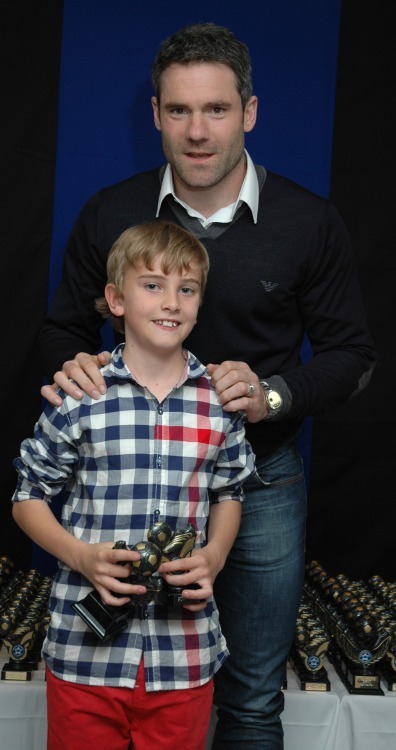 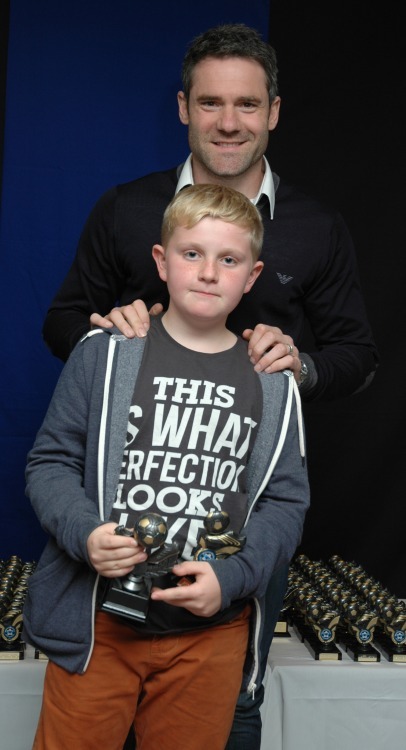 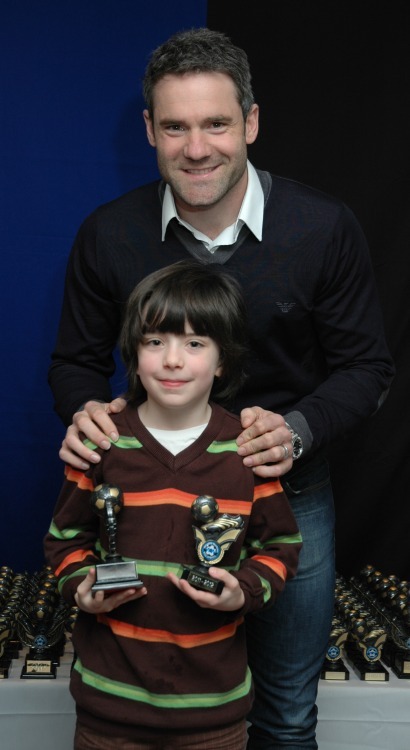 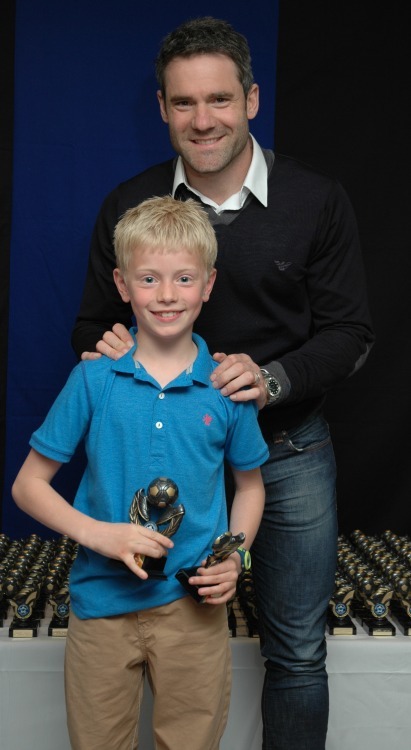 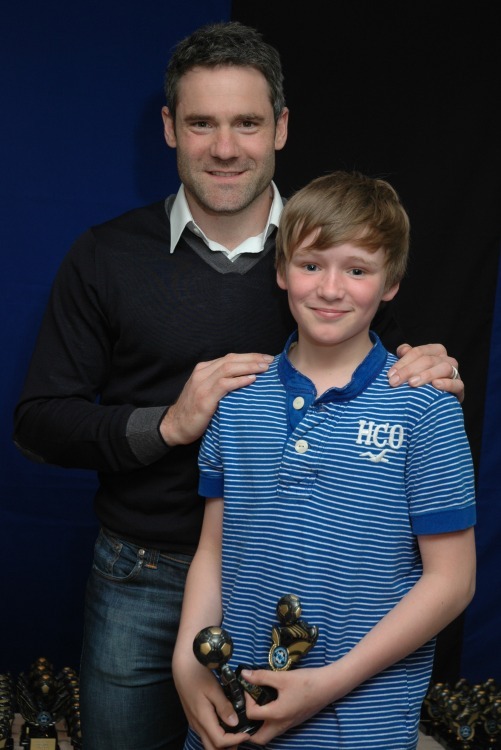 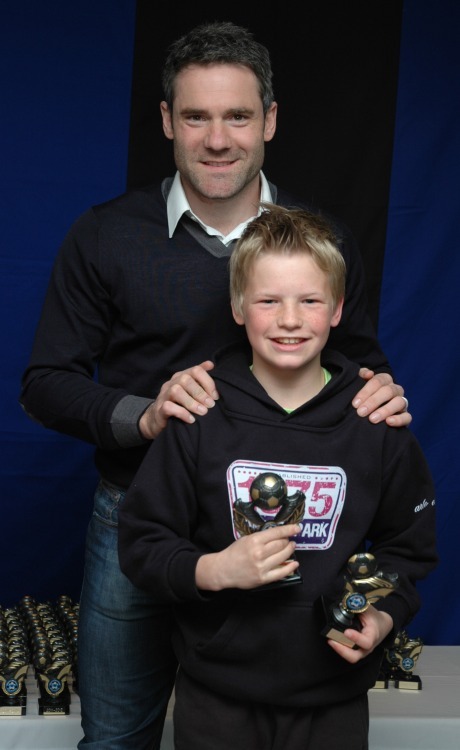 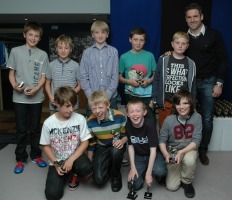 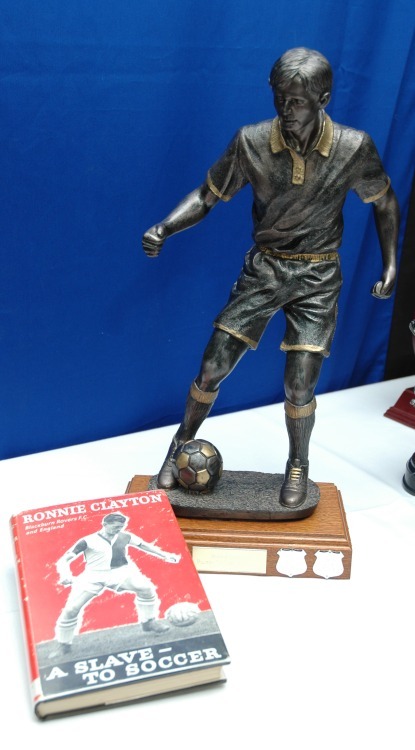 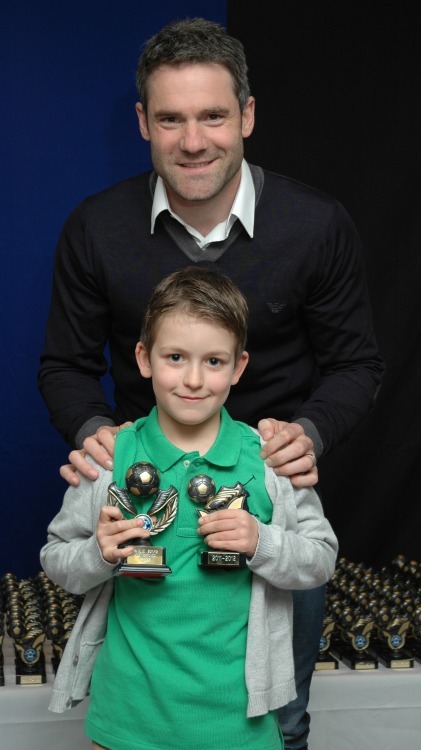 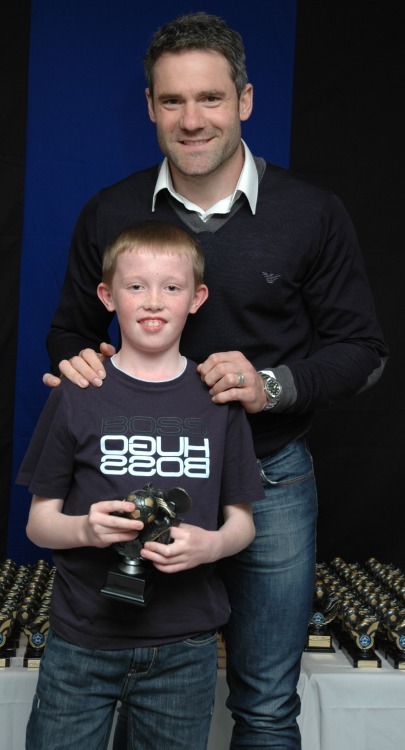 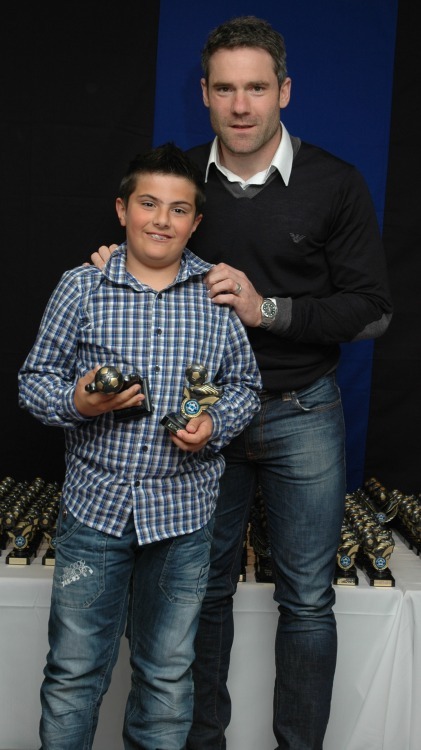 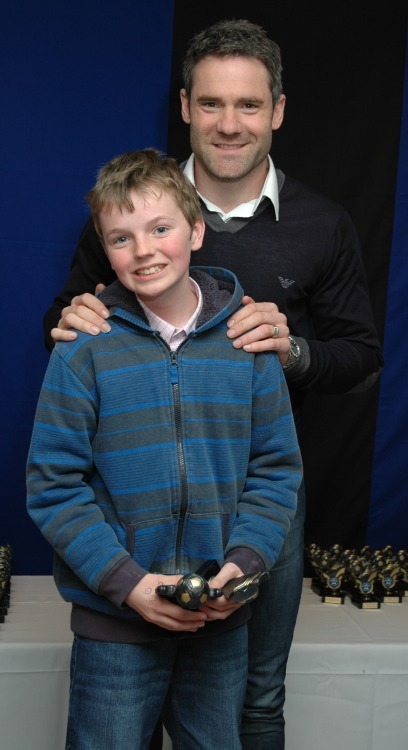 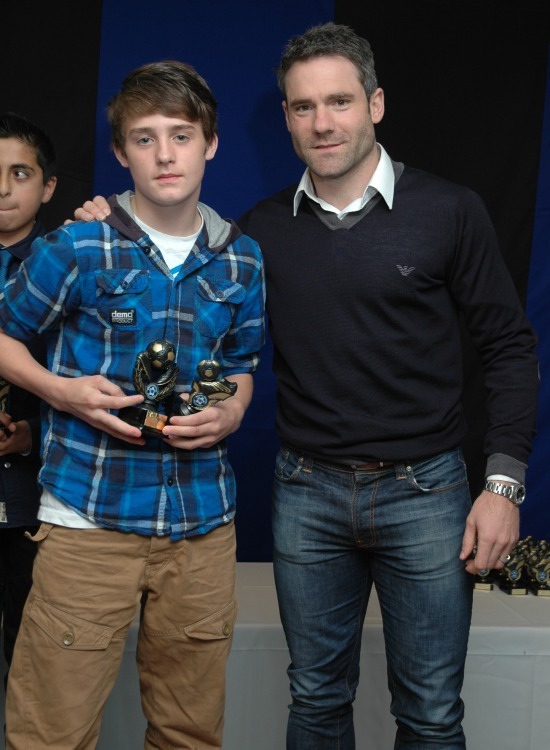 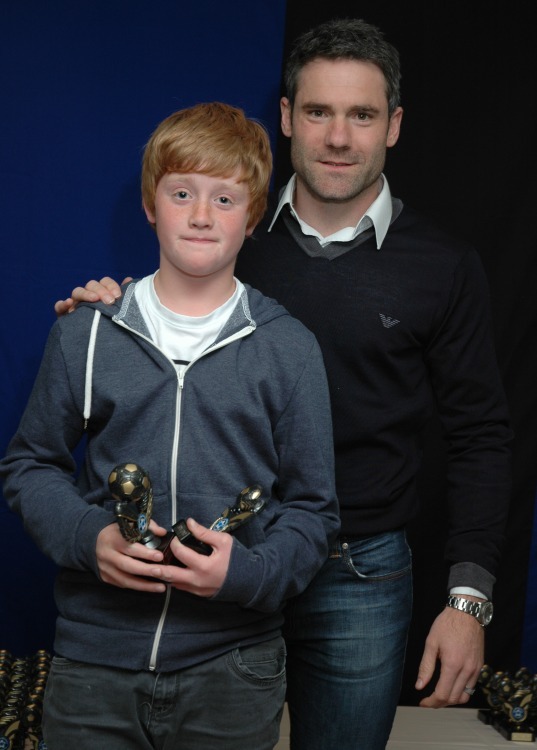 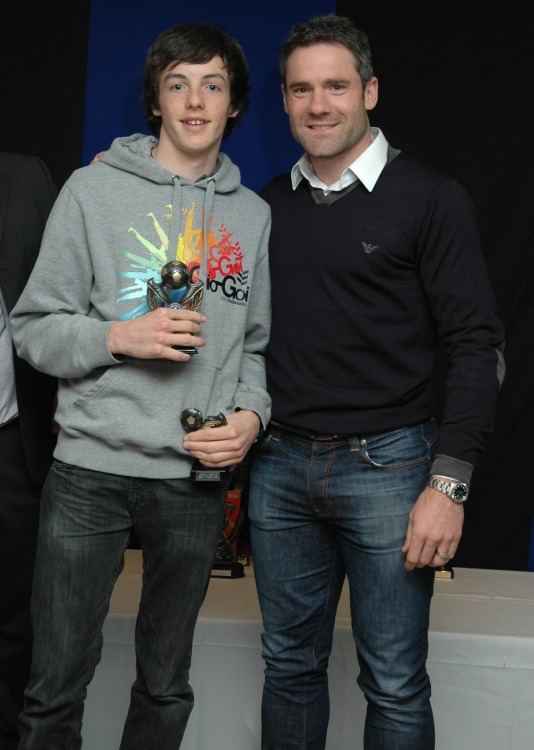 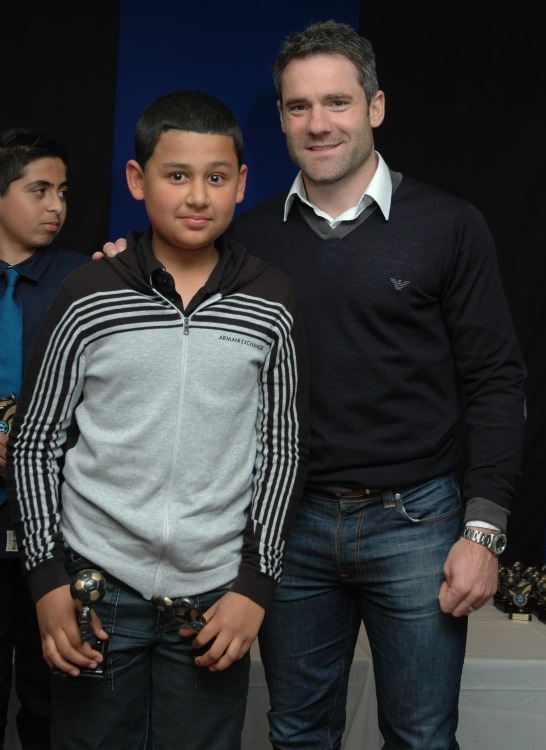 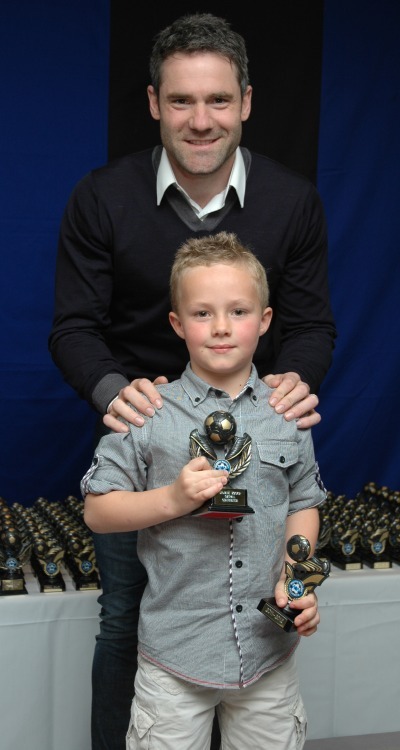 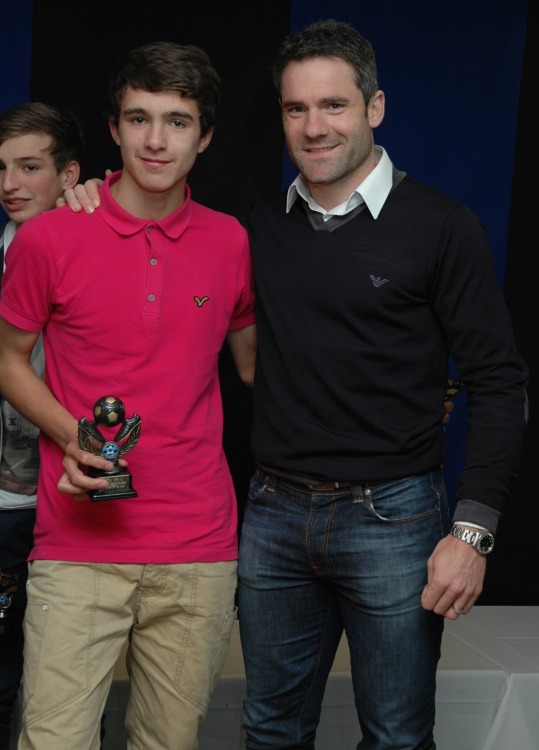 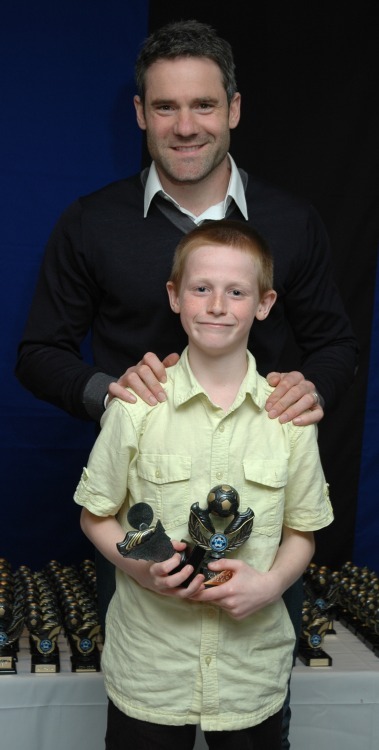 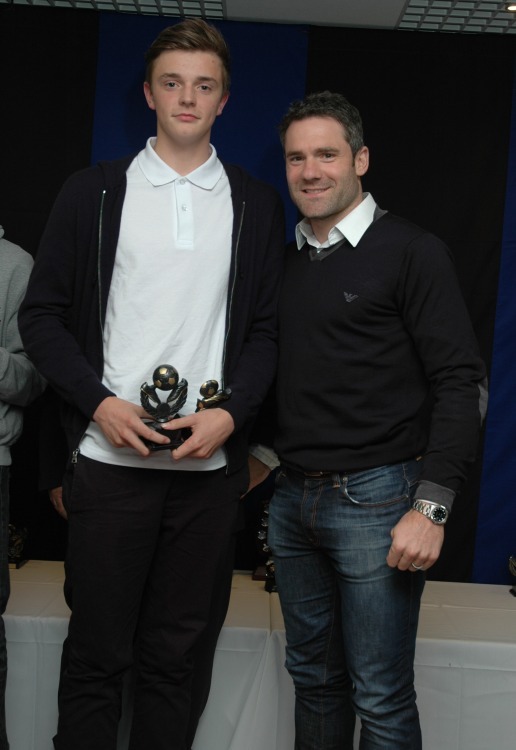 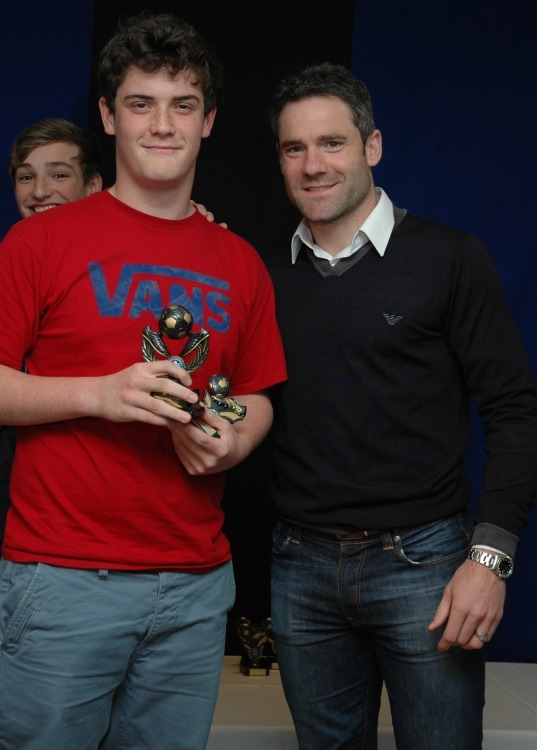 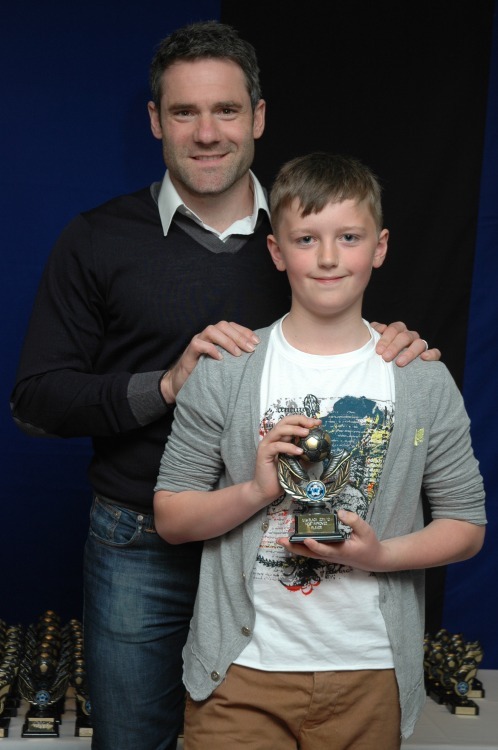 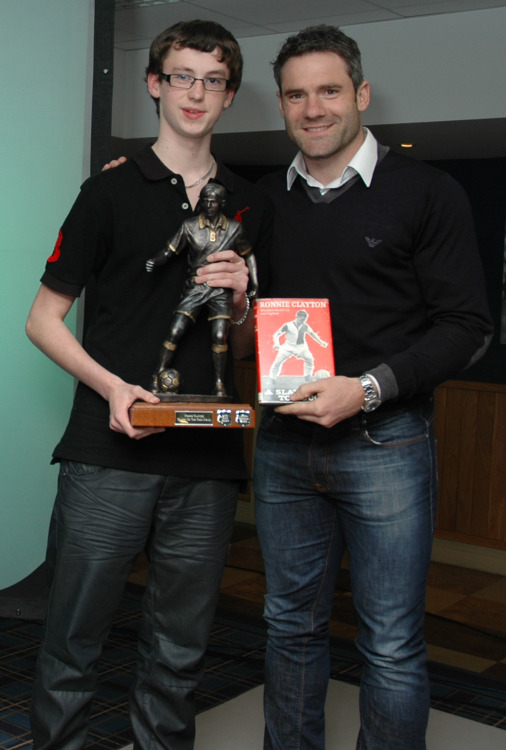 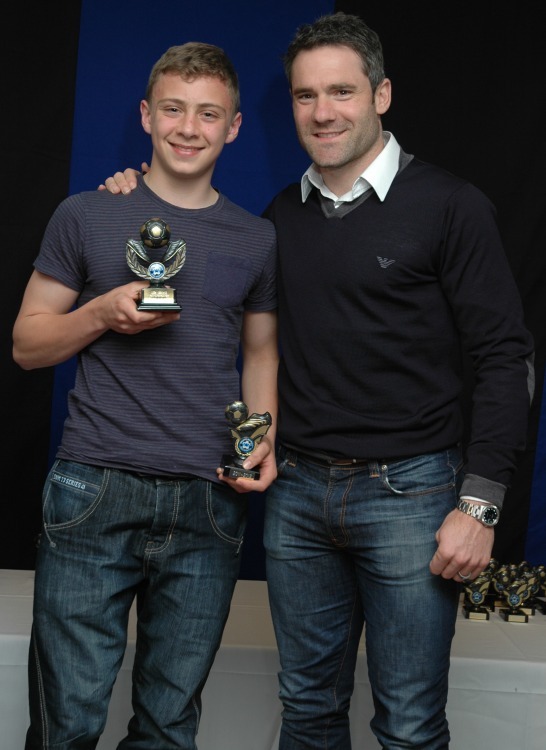 The trophies were presented to the teams by Blackburn Rover's midfielder and local lad David Dunn. handing out the trophies, posing for many photographs and signing autographs for the lads. 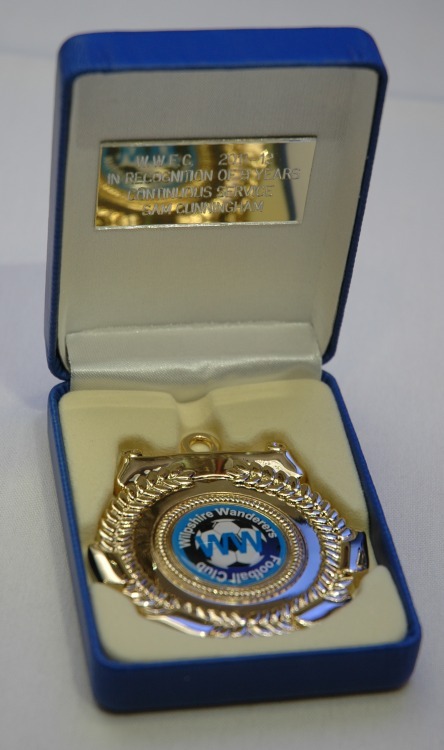 There was an unexpected interruption at this year's awards evening when club Chairman, Steve Frost, was presented with a special award in recognition of his dedication to Wilpshire Wanderers Football Club over the past 15 years. 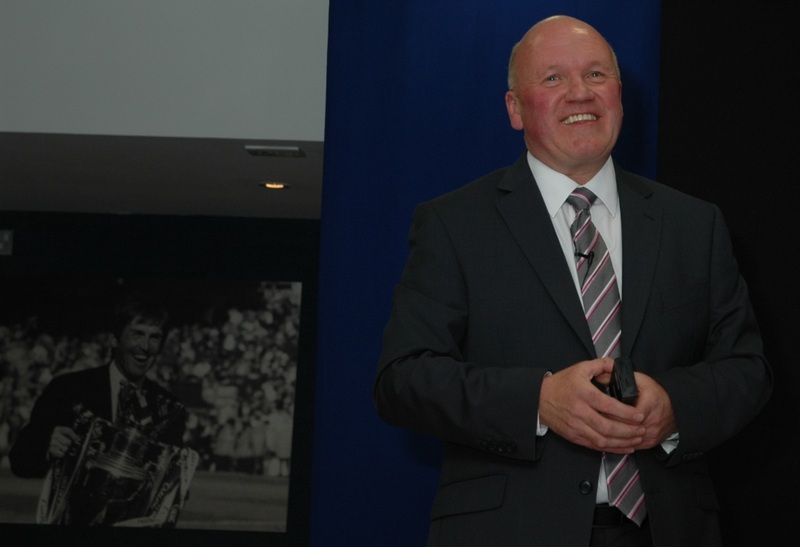 The amount of work that Steve puts into the club is truly incredible. 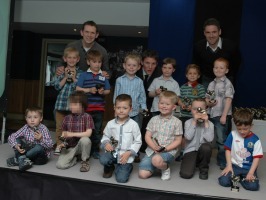 Anyone who has attended a Wilpshire Wanderers presentation evening, for example, will testify to the professional manner in which it is executed. 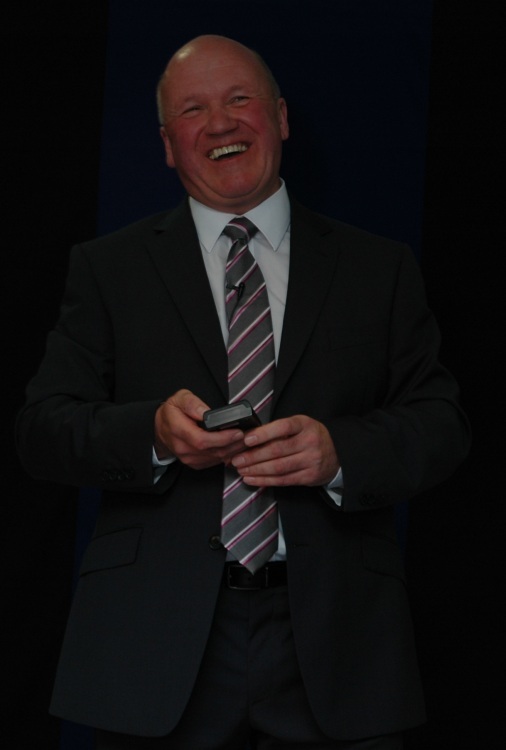 This is all down to Steve who organises and comperes the event each year. 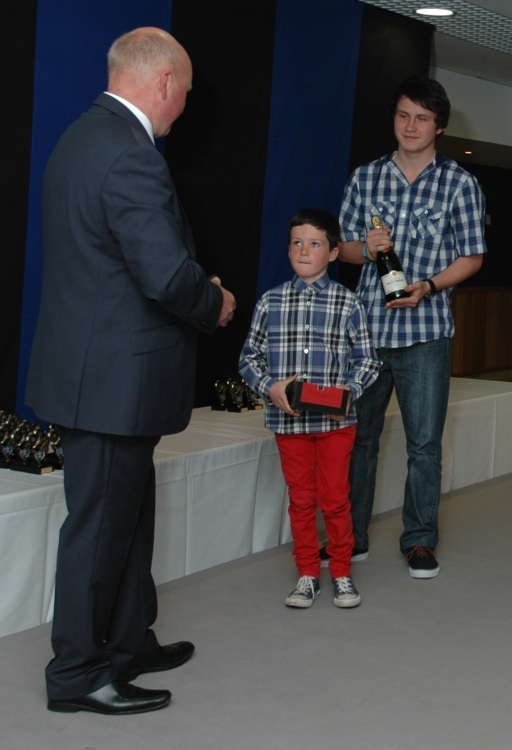 The work for the presentation evening begins months before the event itself. 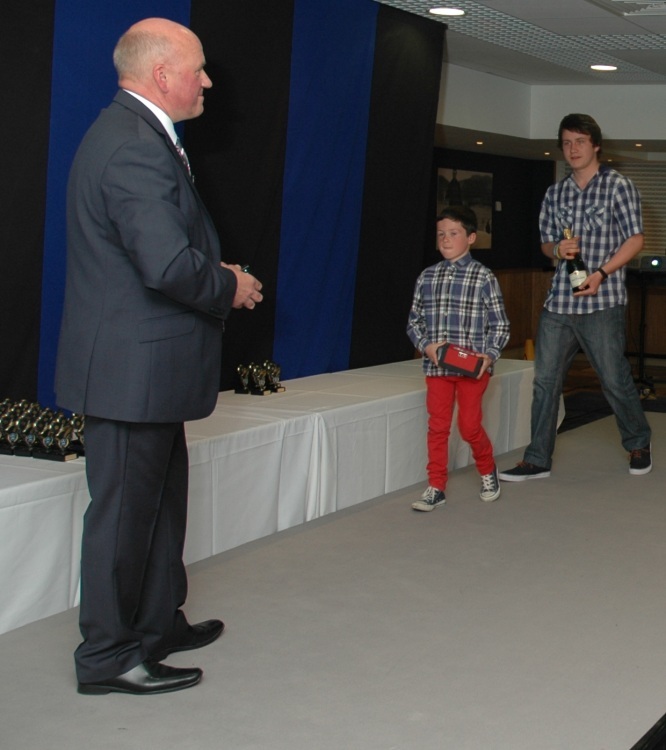 Throughout the season Steve takes most of the photographs that are shown at the event and he also films all contributions to the end of season videos. 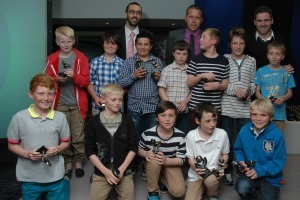 However, Steve’s work for Wilpshire Wanderers extends far beyond the presentation evening. 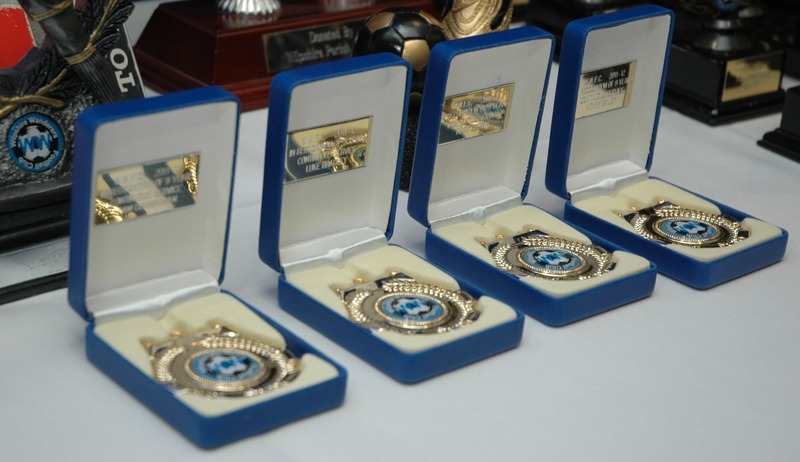 Steve is ever present at the Salesbury Memorial ground on a Saturday morning to open up for the Under 5 and Under 6 squads and he remains there to check that the pitches are in tip-top condition for the matches to be held later in the day. 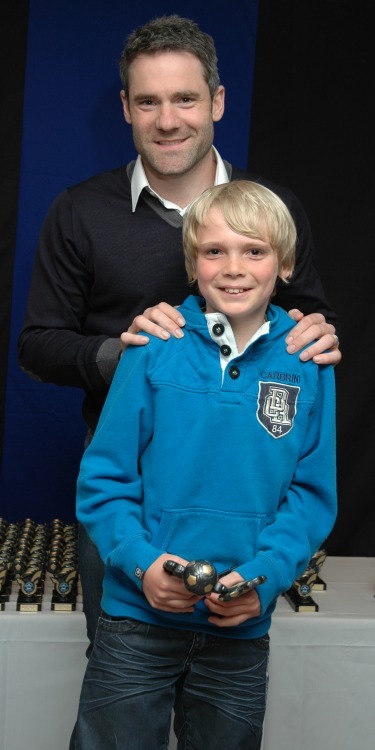 He also mans the cafe serving teas and coffees to the parents and supporters. 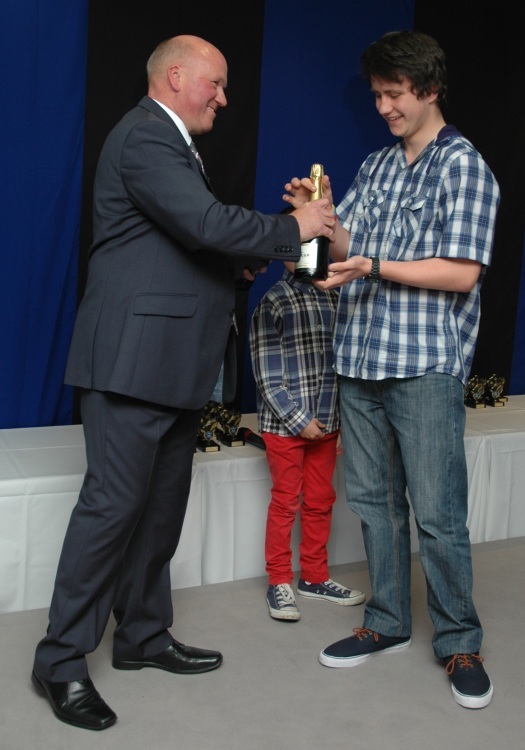 In the closed season Steve is instrumental in the upkeep and reparation work at both Salesbury Memorial Hall and St. Augustines – he even launders the nets! In his modesty Steve will cite the committee members, managers and coaches as being crucial to the club. 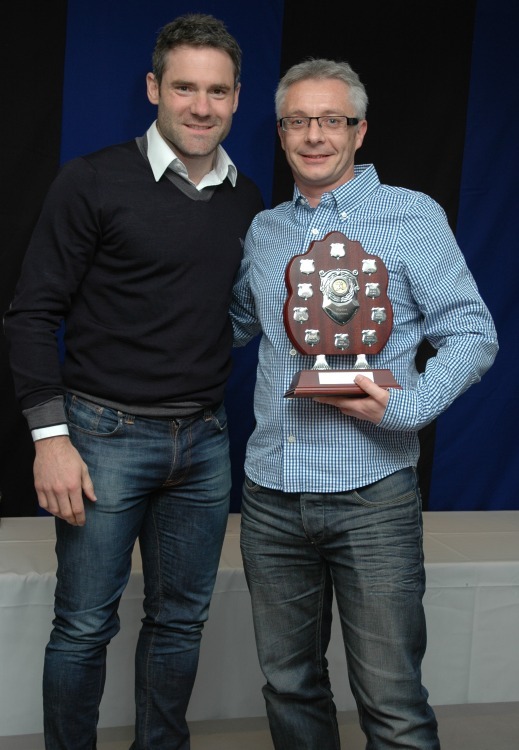 While it is true that a football club cannot run without volunteers, it is Steve who is the catalyst for Wilpshire Wanderers. 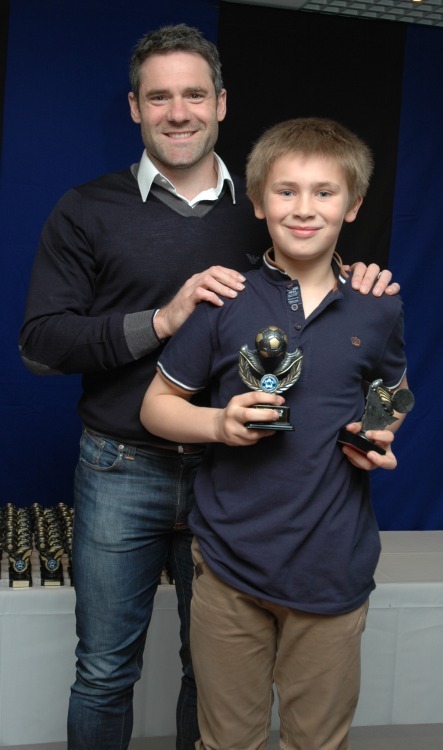 His message of football for all and Promoting a Team Spirit permeates through the club personnel and has seen Wilpshire Wanderers grow from humble beginnings of a single team to a club that caters for over 250 children. 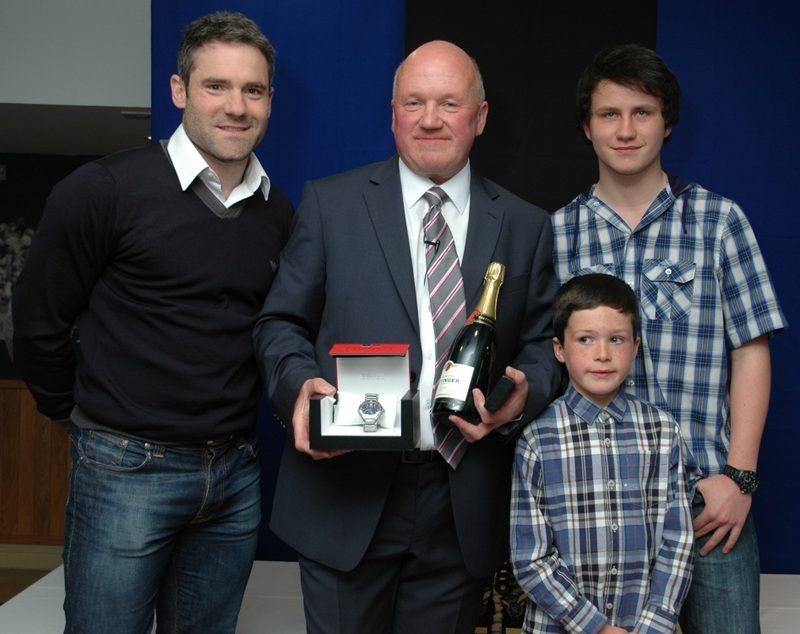 Congratulations Steve on a well desreved award! 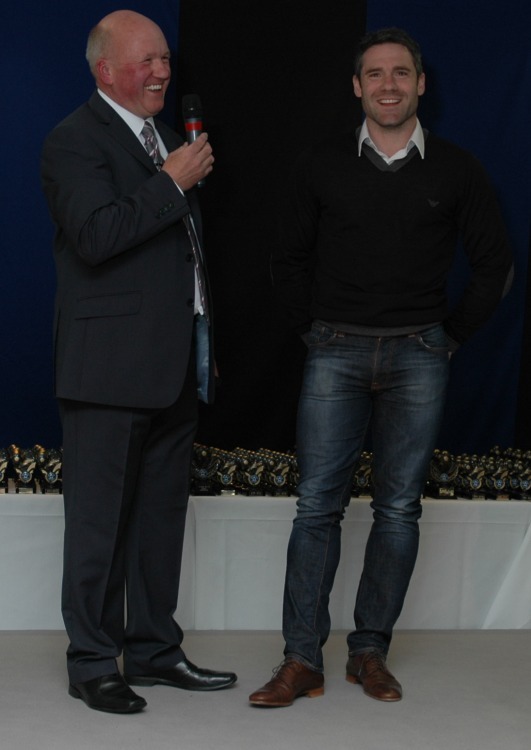 To play or stop a video position the cursor on the video and select your option.